What is the importance of a CNA Resume in your job application? How does your certified nurse aide resume play a vital role in your employment? The importance of CNA Resume for any job application and selection can be ascertained by the facts that your chances for the selection in the posted job solely depends on the well written Resume. But, before we proceed further it is wise to know the steps that are essential for any job Application. Any job seeker aiming to get employed in any health care field job needs to complete few steps that are essential for letting the employer know about you and qualities and qualifications possessed by you. Make ready a Cover letter to be submitted along with the resume. You must also understand that, out of these three steps, articulation of a professionally made CNA Resume plays a vital part in any job application. CNA resume submitted by you acts as a first invisible contact between you and the employer. Your resume assists the employer to get a general idea about you. The resume informs the hiring manager about knowledge and skills possessed by you. The details about your qualifications, academic background, CNA training program and certification can be known through the resume. Your profile document also informs about your practical working experience, technical and other skills possessed by you. The contact details written by you in the resume will assist the hiring manager to get in touch with you at the time of need anytime in future. The details offered by in the resume makes you a distinct separate personality, completely different than other many job applicants. It is also known fact that many candidates, who are well qualified, better experienced and bearing greater skills fails to get the interview call or are not even short listed for the applied job, whereas many applicants with lesser qualities and qualifications gets the interview call and also get selected for the posted jobs. The factor that is responsible for your not getting short listed for the posted job is due to the articulation of your CNA Resume in most amateur way, where all information are offered in most unprofessional pattern, unnecessary details fills up the resume, making it long and monotonous. The employer being the busy person, who also needs to read over numerous other resumes, can not waste his valuable time going through your long monotonous written document with unnecessary details. Therefore, it becomes that you insert all necessary information in most precise and concise way under separate subheadings that can immediately point out your skills, qualities and qualifications. Such resume will definitely impresses and attracts the employer, who may want to give you interview call to find out more about you. Objective. 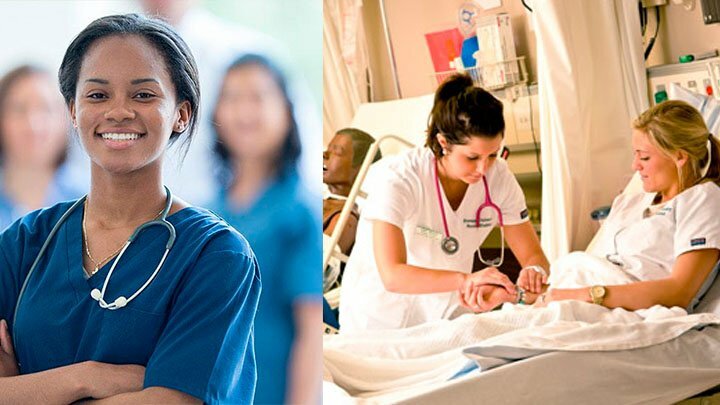 You must show your nursing career aspiration, goal you are aiming to achieve and position you are seeking for your nursing job. The details must be provided in most concise way. Professional Summary. This section must be devoted on your core nursing skills that you have gained by working in different type of nursing jobs, volunteer service and during your CNA Clinical hands-on experience. Professional Experience. This part shows your working experience in various health care facilities, during any volunteer service and CNA Clinical hands-on training. The entry level CNAs can show their experience in voluntary services and experience earned during clinical trainings during their CNA Training program. The date and duration of your prior working, position you were employed and name of the facilities, where you worked must also be provided. Education. This section informs about your educational school background, CNA Certification Programs and any other additional nursing courses you may have completed. The name of the educational and training institute, completion year, and CNA course curriculum attended by you must be mentioned by you. Achievements. Any Achievements, Awards, CNA Certificate and Accolades bestowed on you during your long CNA career stretch, academic performance and nursing excellence can be mention in the section. Technical Skills. Your computer skills, knowledge on Microsoft Office Package program and Internet knowledge can be shown under this sub heading. Additional Skills. This sub heading shows your inherent skills, such as compassionate and humble nature, caring behavior, excellent communication and interpersonal skills, and other natural qualities.